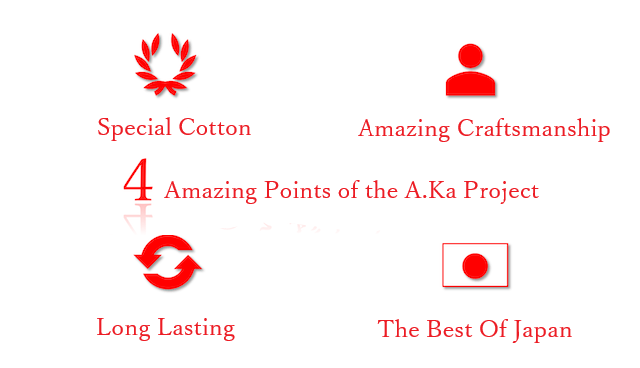 [The A.Ka Project] A collaboration of Japanese craftsmen creating extraordinary quality traditional red underwear! Funded 367,900yen	(About $3458.26) The target amount is	$1880	This is an All-In project. Regardless of the target amount, this project will be funded with the amount of money raised. The A.Kaproject is a project bringing a set of highly trained and skilled designers, workers and craftsmen together! Bringing together their passion, their fire, their soul to create a product that encapsulates their years of training! The first product that this collaboration of makers have created is the amazing Aka Pants!! We’ve been really happy with the amount of help and support that we’ve got since the launch of the project! One of the biggest voices that we’ve heard from people abroad is that they wanted to see an A.Ka pants for ladies! So we put our heads together and came up with a design for this new A.Ka Pants with a concept of being [Durable, Soft, Cute] ! Introducing the [A.Ka For Lady] which you can find the return here!!!!! Not just underwear. Not just a product. An experience. One touch, one moment, the instant you wear it you feel comfort. The Aka Pants. How did we get to this point? What motivated us to create this project? What does the project mean to us? And most importantly why Aka or red in English? TAMIL NADU. The southern-most state of India. Home to a special plot of land where one type of the world’s most amazing cotton known to man! Blessed with the perfect climate, soil and just the right amount of sunlight, the cotton found in this particular region is perfectly nourished. It is hand-picked with the utmost care, to ensure that it’s quality is maintained. 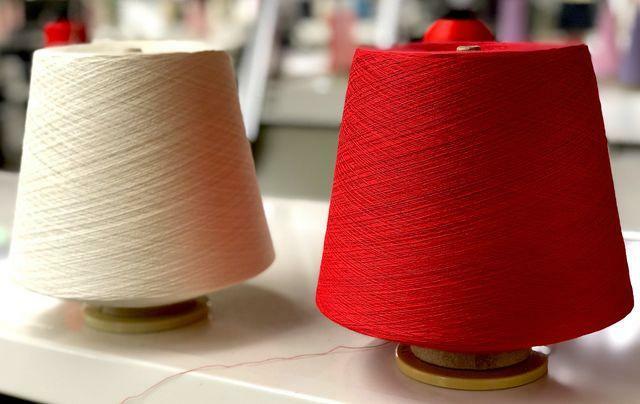 The cotton, called SUVIN, is a blend of two specially chosen cottons, which were chosen to create a cotton that has superb absorption, quick drying and amazing durability. What’s more a perfect amount of oil that makes the cotton smooth and warm to touch can be found. By using this cotton and only this cotton, we feel we can say that this product is the pinnacle of underwear! 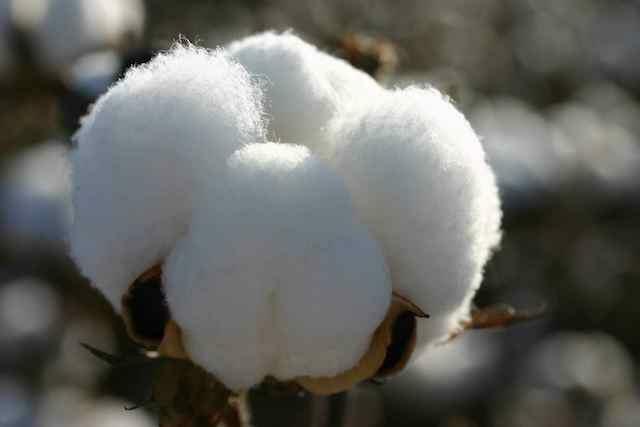 We want to create a product that uses this amazingly precious natural cotton and makes your skin feel loved. Because of this, we felt that sowing by machine would not be the best way to process this cotton, as it would cause unnecessary stress on the fabric. So each thread in each pair of underwear is painstakingly sewn by hand, taking several hours to complete. Even though it takes such a long time for just one pair to be made, the utmost care is put into a product that has no rough edges! From start to finish it is made with tremendous attention to detail and care all by hand, from creating the product, to washing it to steaming it into its final shape. We’ve made a product that we feel no one has ever, and makes your heart leap with joy whenever you wear it. While it may be selfish of us, we want to help even up until you’re washing the pants! So we’re including a special washing net just for the pants! Working with a Japanese company that focuses on special washing nets for cleaning companies and hotels, we have created the perfect net for this pair of underwear! 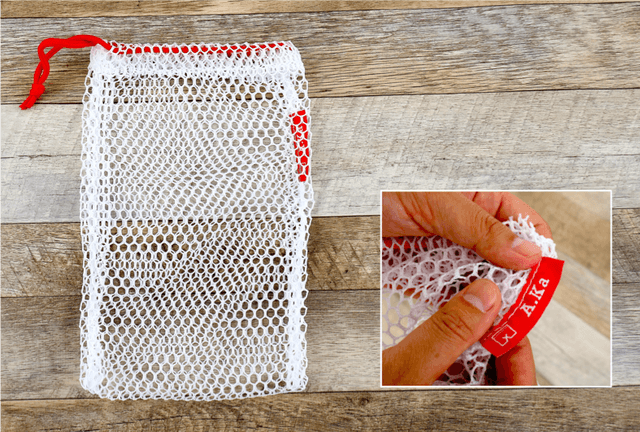 Even washing with other clothes is not a problem as this net is super strong and durable! Just like the A.Ka Pants, this product has from the start been made especially with the A.Ka Pants in mind. We want to accompany you for the whole time you have the A.Ka Pants! 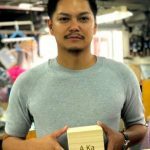 The A.Ka project, in regards to creating the A.Ka pants, doesn’t allow for cutting corners or deceiving our beloved backers. We’re also not just about creating a Made In Japan product, but rather looking for the best creators in their fields. We looked all over the country, meeting each person individually, to find out if the person, the skill and their personality fit with our vision. It’s not just Pants that we’re sending, but an experience. Due to the amount of time it takes to make just one, it is impossible to make a lot of them without reducing the quality, something we will never do. We wish for the pants that we made and care about so much, to be lovingly worn by those that receive them. ↓Those that are involved with the A.Ka Project↓ (Japanese only) A.Ka or aka（赤） in Japanese is the word we use for red. 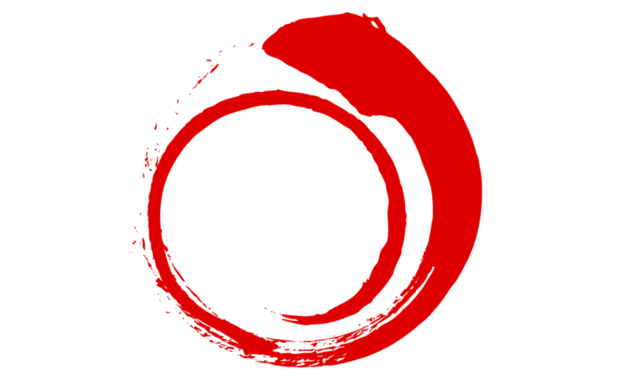 In Japan as well as many parts of Asia, the colour red has a multitude of good meanings. In Japan, it is seen as the colour of a new beginning. Like the colour of the sun ( hinomaru日の丸) on the Japanese flag, it signifies stepping out in to the mornings sun and starting with a warmth in your body and soul. In China it signifies life, with it being the colour of blood, that which flows and keeps us alive. It is forbidden at funerals because it has such a profound meaning of happiness and life. We want to carry this across the world, and keep these essential meanings close to our heart. We want our name to hold this meaning, that when you look upon it, you feel happiness and when you wear or use our products, you feel the life and soul we poured into making something that will make you happy. 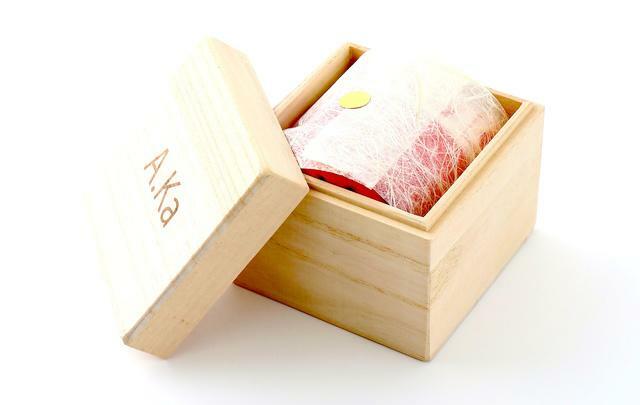 A.Ka Pants are created from some amazingly difficult to get hold of material. As well as this, due to the amount of hours that are put into the creation of just one pair, only about 100 pairs are able to be made each month. Also with the costs being more than 70% of the price. As you can tell, these pants aren’t exactly cheap, maybe thinking that “one pair of pants for over 10,000 yen is ridiculous”. BUT we think and trust in the knowledge that our pants are worth it! The A.Kapants are pants that, when worn will bring you a sense of fulfilment to your body and soul. This product, made with amazingly durable material and if washed with the specially provided A.Kawashing net, even being worn twice a week, will stay like new for many years. Therefore even if thinking of the A.Ka as being expensive, if you wear it for just 2 days a week for 3 years, it will cost around 50 yen for your body and soul to be comforted, you won’t have to buy new underwear to replace these pants, meaning that they aren’t just good for your but good for the planet as well! So when thinking about say the drinking after work, or eating out, it would account to saving a little bit from these times out! While we not saying that it’s not inexpensive, we would love you to think of these pants as being an investment! With a large voice being raised for a females version of the A.Ka Pants, we have taken the time to bring a new return to the project! Introducing the [A.Ka Pants for Lady]! With the concept of [Durable, Soft, Cute] this product is made with the same SUVIN cotton and with the same hand made process as the original men’s pants, but the pants are slightly different to the men’s version by a bit more shorter in the leg area and of course being tighter in general. 【Return Price】1 Set 15,000 Yen (tax included/ postage cost may change depending on location)　A special price for this crowdfunding campaign! 【Quantity Available】120 sets ※The 「for Lady」A.Ka Pants will release on January 28th 2018 (Monday). Maybe you have a presentation coming up, or maybe you want to start your marriage with a pair of lucky pants, this is the set for you! Let our A.Ka pants guide you through the day bringing you luck and happiness and making you feel like you can accomplish anything! 1 pair of A.Ka Pants –made with 100% Suvin Cotton. 1 specially created washing net- made just right for these pants. 1 beautifully handcrafted box made from Princess Tree Wood (Paulownia Tomentosa). Wrapping paper made in Mino, Gifu Prefecture. 1 Pamphlet made from long lasting cotton paper. For those that wish to have a pair to wear every day of the week this set is for you! Get wash nets for all 3 pairs of pants so that you can wash them with ease! Wear these pants and have luck and happiness follow you every day! 3 pairs of A.Ka Pants –made with 100% Suvin Cotton. 3 specially created washing nets- made just right for these pants. 3 beautifully handcrafted boxes made from Princess Tree Wood (Paulownia tomentosa). 3 Pamphlets made from long lasting cotton paper. 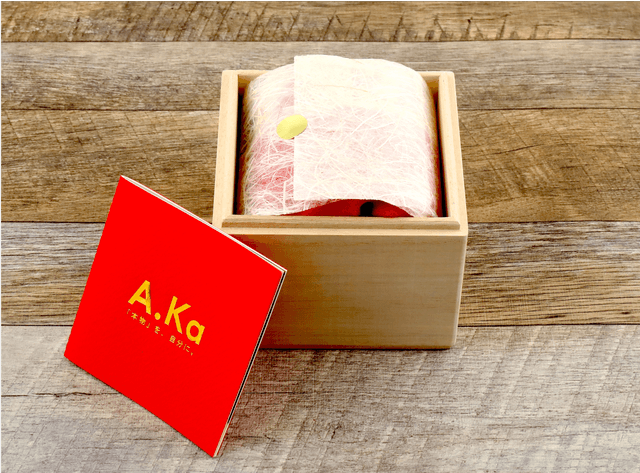 ・A.Ka special high quality gift bag. We’ve created special bag for that looks and feels perfect for the rest of the experience. This is just the perfect size to fit the hand-made box that holds the A.Ka Pants. It is also made by hand at a Japanese run business. It is made from the highest quality material that suits the feel of the wooden box. For the first 60 people that backs the project, there will be a special return for the early bird! We want to take 10％ off the normal price. This is a special discount and we want to offer it so that people can experience what we’ve been pouring our heart, soul and passion into! 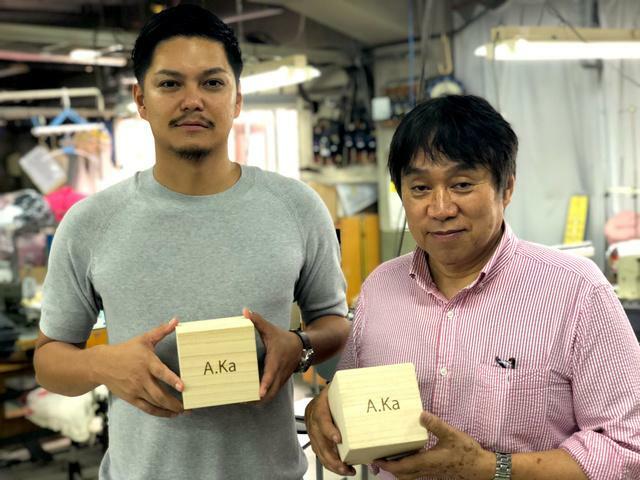 We have received some introductions since we first started our promotion of the A.Ka Project in various media with many more planned over the next few weeks! The first was from a popular fashion site here in Japan [ZOOM] which looks mainly at men’s fashion. The article can be found at http://fashion-basics.com/?p=55079&preview=1&_ppp=0b3c6f8520. The next was on Yahoo News, which in Japan is widely used by many people. 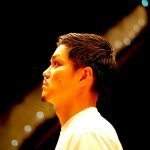 This article also included notice about the project launch on Japankuru Funding! https://headlines.yahoo.co.jp/hl?a=20181227-00000058-minkei-l13 Look here over the next few weeks for when we update the page with other media introductions! At the moment we have 3 sizes (m/l/ll). A.Ka pants are supposed to fit the body just right and to some people it may feel a little small. Therefore our advice is if the pants you’re currently wearing are slightly tight to choose the size above that. For anyone that is having any problems deciding, if you can tell us your height, weight, and hip line along with a picture to japankurufunding@gldaily.com then we can help you get the best fit! Is there anything I should be careful about when washing the pants? There shouldn’t be any problem when it comes to washing the pants. ii. Do not tumble dry the pants, please allow to dry naturally. My name is Kentaro Misho (on the right of the picture) and I’m the project creator. Thank you for reading until the end of the project page! I created this project with the vision of making a product that people can use for a long time, that will satisfy them and that will also be amazing quality. Many people might think that creating such an expensive product that is an everyday item, is an extremely difficult and maybe foolish venture. But I want to bring Japanese products that are made with such hard work and dedication to the craft to the forefront of the world’s eye. I want to strive every day to make these types of products available for people to see and use, and I hope that you will help us make this vision come true! ・Super High Quality Bag included! ※Sizes are Medium/Large/Extra Large. Please let us know which size you want in remark section! ※For more details check the main body of text in the project page! ※Sizes are Medium/Large. Please let us know which size you want in remark section! [Outside of Japan backers] [Limited Return!] The Big Day Set- 1 day set[Outside of Japan backers] [Limited Return!] Luck All Week Long- 3 Set Plan! [Japan backers] [Limited Return!] The Big Day Set- 1 day set[Japan backers] [Limited Return!] Luck All Week Long- 3 Set Plan! [Outside of Japan Backers] New Return! A.Ka For Lady! [Japan Backers] New Return! A.Ka For Lady!